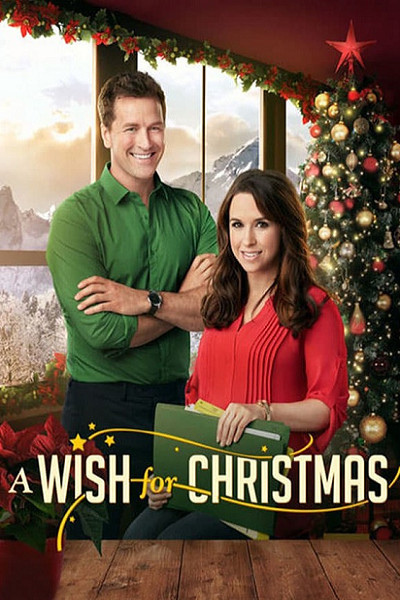 Hallmark returns once more and this film is actually super new. I can’t say that you really notice the difference from the time since these films aren’t exactly heavy in special effects, but the backgrounds and such look good. After all, they are filmed on location I’m thinking so real life’s graphics are as good as ever. This is a pretty solid film. We do go back to the more retro trope of the first guy losing out to the old friend, but I guess if it isn’t broke don’t fix it right? Darcy has had a lot of success at her company. It is now a big corporation and she is one of the highest ranking members on the board. Unfortunately, her views have stayed close to the ground while her partners want to sell out and keep on charging high premiums. They are now ramping up the pressure to kick her out. The problem is that she already went back home to Ohio to help out her Mom with a big fundraising event. She can go back to her job to secure her clients or she can stay with her family. If she leaves them at this stage then the event will be a disaster. What can she do? It’s definitely a bit of a tougher problem than what we had in the last few films. Of course helping the family is the right option, but it’s also hard to not go back to work when you’re about to be kicked out. The film also makes you think who is making the right call here. Darcy wanted to switch the entire company’s policy towards letting in people with no bottom line. There’s a reason why most companies have a bottom line so taking it away would naturally be controversial. Of course, the antagonists are also trying to get her out of the company without a word so it’s not as if they’re in the right either. If I was Darcy I probably would have waited to bring this up until after she had returned from her vacation though. Her secretary was definitely very helpful though. Without her Darcy would have been doomed. This film goes back to having a pretty strong supporting cast. I thought Darcy’s Dad was pretty solid here. He kept his end of the bargain as to not asking Darcy to come and work for him even though he knew that she was making a mistake in declining. He still raised up a pretty good empire in the meantime and was always around for Darcy to talk to him. I also think the backup guy here wasn’t all that bad. He was certainly hoping Darcy would go with him, but once he was rejected he accepted the answer and left. It wasn’t the answer that he was hoping to hear, but he didn’t get sour or try to get even. As for the main guy, Luke’s pretty fun even if the “tough guy” approach doesn’t work as well with him since you know that he’ll be paired up with Darcy anyway. I think a film about him and Darcy being on the debate team would probably be fun. He does seem like the kind of guy who would probably enjoy taking the conflicting opinion just to spark a debate. He has a lot of good ideas and he’s certainly filled with confidence. Aside from quickly buying into an unlikely scenario at the end he doesn’t seem nearly as timid as a lot of the other guys. It’s good to see someone talking tough for the whole film this time. That being said, I still wouldn’t say that the romance is particularly good here. It’s all pretty generic stuff and Darcy takes too long in shutting down the backup guy. He has to ask her first because she took forever to say anything. Granted, they were basically apart by this point but she was doing the whole “We’re not actually together” when talking about Luke only to go to him 2-3 minutes later to make it official. She had made up her mind by that point even if she couldn’t admit it. I think without the romance angle we could have gotten more of a focus on the party and the rivalry between her and Luke. Imagine a good rivalry like that which doesn’t lead to romance in the end. I think it could have worked out quite well. As always I’d say that the writing is pretty good here. Darcy is also a good lead taking away the romance angle. While it is played out to be a bad thing, I do like how independent she is. Asking for help is a last resort for Darcy and she’ll typically try to do things on her own. If she makes a promise she’ll do everything she can to fulfill it. If it’s too much for her then she’ll ask for help, but she never does things halfway. That’s exactly the kind of person that you want on your team. The deal she made with her father also works out pretty well. She’ll be able to realize her dream while also keeping his company up. I would have liked to have seen a final scene with the hot dog guy though to show that he got to open the account. I was expecting it the whole time and was a little disappointed when it didn’t happen. While the moral is that Darcy needs to trust in others more I feel like the movie almost completely backfires in trying to show this. Every company that the Mom called in to help ended up canceling at the last second. At the end of the day they weren’t able to trust anyone and the party was nearly ended several times. I mean, that’s not the point of the film of course, but Darcy’s loner approach was really working quite well. Trusting others within reason is always good of course, but maybe the film could have showed some more examples of trust actually working rather than the opposite. 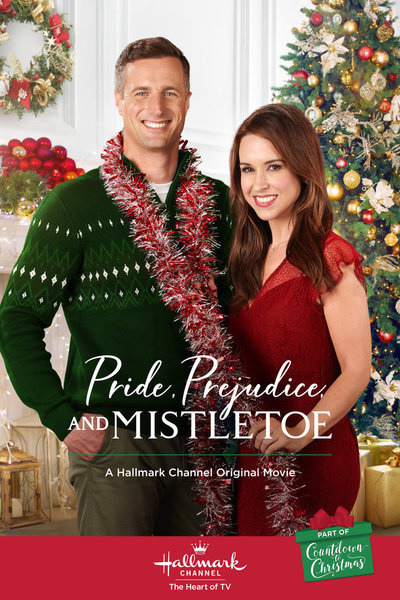 Overall, This is another good Hallmark film. It definitely earns its Hallmark seal of approval and keeps the streak alive for these titles. There are no negatives to speak of here and it’s just a really fun film to watch. I think it’s one of the stronger titles I’ve seen from this series. Maybe I’ll make a ranking of them at some point or something since I’ve seen so many of them. If you haven’t seen this film yet and want to watch a fun little Christmas story then I recommend checking this one out. It’s just good all around and has no real weaknesses. It’s time to look at the first Christmas film of the season. 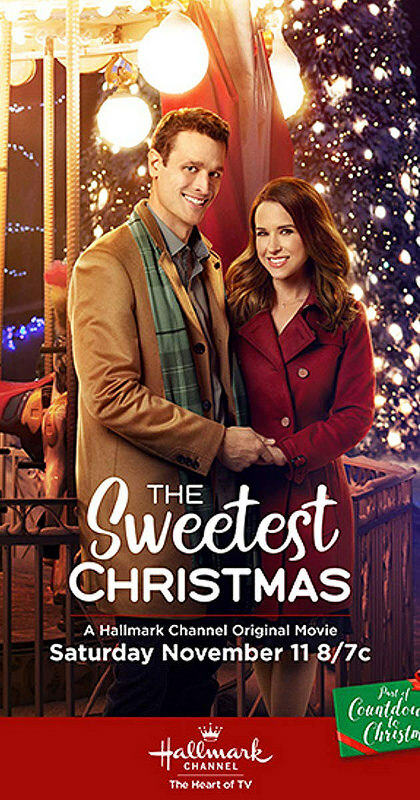 It’s time to enter the world of the Hallmark films. They’ve typically got a good rep for being fun films with nice plots that get you ready for Christmas to arrive and I can confirm that this was a pretty good film. It can be a little cheesy and stuff but at the end of the day the film doesn’t really have any faults and succeeds at being entertaining. 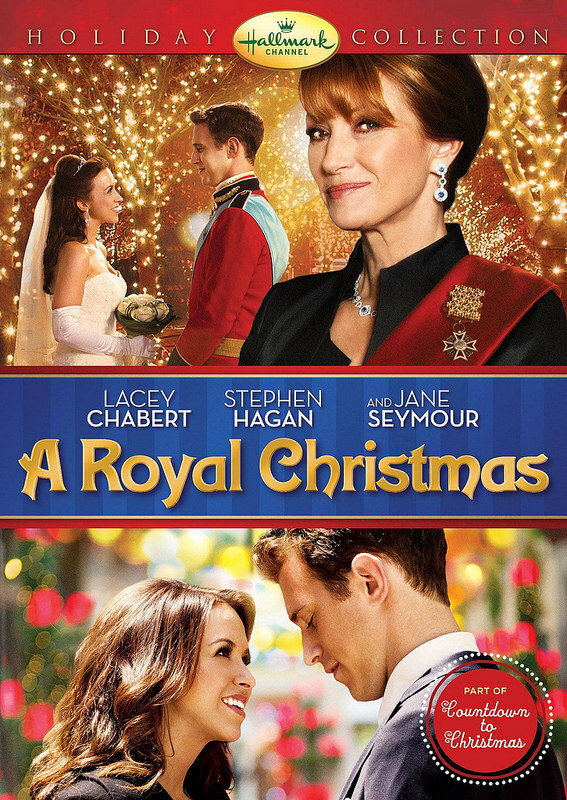 The film starts with a flashback where Melanie wishes for Christmas that she will meet a Prince Charming. Santa decides to fulfill her wish, but as she is a kid he puts this under the long-term plans section. Around 20 years later he has returned to grant her wish. The problem is that she is currently with a CEO named Justin who doesn’t seem like a great guy so Santa decides to play matchmaker by setting the lead up with Dean. He’ll have to do some property damage and illegal summoning in order to make it work, but Santa will do anything to make his plans a success. Now I know what you might be thinking. Santa is trying to get the lead to go for the rebound and ditch her current partner right? Well…you’d be right. We’re on morally shaky territory here right from the get go. Naturally the film wants you to pull for the rebound guy since the starter pick is pretty quick to change who he wants to be with and such but you still have to question the rebound guy’s decision to get with Melanie. He should see her as off limits either way and just run off. Whether the rebound person wants to be with you or not doesn’t matter at that point. It’s over before it has even begun. So, naturally I am against the romance. I also have to admit that the romance in this film isn’t all that good. It’s surprisingly better than some other romances I’ve seen in recent films, but you still can’t get behind the rebound situation. You know from the start how the film is going to end so you’re already looking at Melanie and the others pretty suspiciously. I’ll give Dean credit for most of the film as he tries his best not to get himself into tricky situations. Still, by the end of the film he falls into line as expected. The world was against him and ultimately they broke the guy. Melanie seemed like a reasonable heroine. She’s a bit of a downer during the start of the film, but fortunately she had a pretty nice co-worker who was ready to mind the store while she was away. Considering that this employee was managing the store during Christmas I hope Melanie payed her time and a half for those hours. As with Dean, Melanie is a good character aside from the whole romance angle. She does her best to help the needy and came through when it counted. She took a little while to realize that Justin wasn’t placing her as a priority, but some small things like hanging up on him early made her a pretty good heroine. Then we’ve got Justin who is naturally not a good character. Case in point, his friend Dean helped him with just about everything for at least a year. They’ve apparently been pretty good friends throughout and yet when Dean wants to go home for Christmas Justin immediately threatens him with being fired. I don’t know how they stayed friends after this and honestly I think Dean was too much of a pushover. He was nice otherwise but this was the moment where he went a bit overboard. Then Justin fell for his ex during the days leading up to Christmas and overall showed that he could not resist the rebound. If your partner can be swayed away from you in the course of a few days then the person was never really serious. Honestly, there shouldn’t even be a time frame. If you can be swayed at any point you were never that serious about the relationship. Then we’ve got Santa who is certainly very focused on helping out Melanie. It goes to the point where he is willing to total cars, summon bears, cause an avalanche, gave someone poison ivy, and more. Santa certainly wasn’t messing around in this version and it’s really something seeing him cause all this chaos. He may seem like a harmless old man, but the guy’s definitely got a lot of fire and ambition. I can appreciate the fact that he wants to help Melanie’s wish come true even if he’s sacrificing everyone else in the process. I do think his gimmick of constantly letting slip the fact that he is Santa can get old very quickly though. Cmon, the guy’s a hundred years old. You’d think that he could keep a secret better than that right? 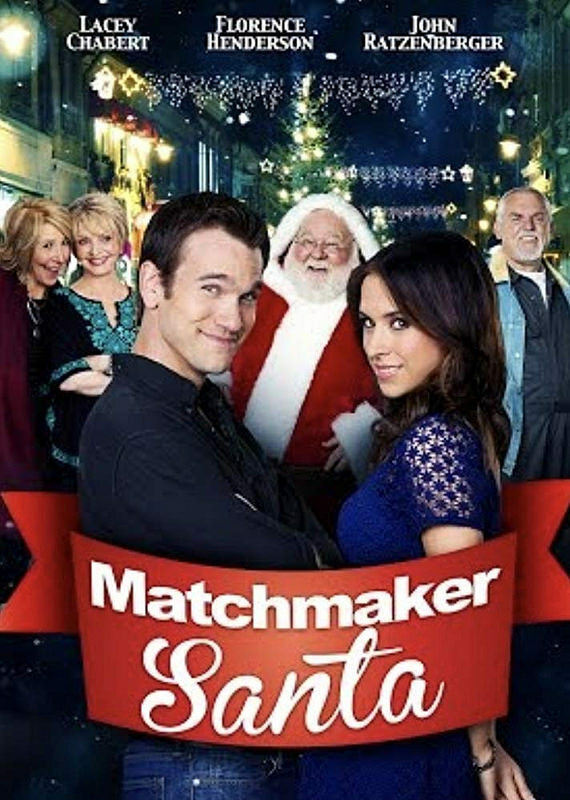 Overall, Matchmaker Santa is a pretty fun film. It’s a romance comedy so of course there is going to be a lot of romance here, but it’s not as cringy as other titles I’ve seen. the romance isn’t even bad if not for the fact that it’s built around rebounds. I do like that the film went all in with Justin though as he is completely unapologetic about dumping Melanie without even letting her know first. Granted, she was about to do the same thing although in her case it would be a lot more justified. The film certainly has a neat and tidy ending. The writing is on point the film is definitely one of those feel good titles where you’ll have fun watching it. There’s a good amount of humor here without it feeling forced. Again, there are really no negatives with the film here. Even the rebounding, while regrettable, doesn’t actually end up hurting anyone here as they were all satisfied with their back up picks. In Justin’s case you could argue that Melanie was the rebound and he went back to the starter. If you want to see a fun Christmas film I’d recommend checking this one out. It furthers my theory that Rom-Coms are the best ways to handle a romance film as they will make the romance a lot more tolerable. This movie even avoided the second half slump that most of these had as it kept up the humor all the way to the end. My only regret is that we never got to see the actual board meeting though. That would have been fun.